Are you taking vitamin D and not seeing results? Perhaps you’re not taking the optimal form. A new study conducted by Life Extension shows a fat-soluble form of vitamin D increased blood levels by nearly 30%. The results were presented at the Experimental Biology Scientific Conference in Boston, Massachusetts. Vitamin D deficiencies play a pivotal role in the development of many diseases. Vitamin D deficiencies are linked to heart disease, several types of cancer, and even depression.1-3 Thus, it becomes important to maintain optimal blood levels for disease prevention. For the Life Extension study, investigators recruited 16 individuals (15 completed the study) who had been taking a powdered version of vitamin D. Blood levels were tested to measure baseline levels. The subjects were given 5,000 IU of a fat-soluble form of vitamin D3 and had their blood levels retested after 30 days and at the 60-day mark. Vitamin D blood levels were significantly higher when using the fat-soluble, lipid-based version compared to the powdered version, highlighting the importance of vitamin D preparations. Why is Fat-Soluble Vitamin D Superior? To understand the results of the study, just boil it down to basic chemistry: like dissolves like. Vitamin D, being a fat-soluble vitamin, is optimally absorbed in a fat-based medium. To reap the most benefits from vitamin D supplements, it is important to take the right dose and to follow up with blood testing. Between 5,000–7,000 IU are suggested daily for most people. Blood testing should be conducted two months after the initiation of supplementation to adjust dosing or to ensure sufficient levels are maintained. Optimal blood levels of vitamin D fall between 50–70 ng/ml. Arch Intern Med. 2008 Jun 9;168(11):1174-80. Altern Med Rev. 2005 Jun;10(2):94-111. Available at: http://www.prnewswire.com/news-releases/life-extension-study-finds-lipid-based-vitamin-d-formulation-boosts-blood-levels-285-in-60-days-300067653.html. Accessed April 23, 2015. Kari Fischer- You're very welcome! We're glad you liked it! This is very informative for using the optimal form of vitamin D. lipid-based version highlights the significance of vitamin D.
lipidomics- We're glad you enjoyed the post! yeah, but which product are you talking about? what good does it do us to know this information if we don't know which product to buy? to add to the confusion, Vitamin D is a fat-soluble vitamin to begin with. I have never even seen or heard of powdered Vitamin D. I have only seen Vitamin D capsules, which I presume are in oil or some fat-soluble liquid. Or, are you talking about some new kind of fat-soluble form of Vitamin D. This article needs clarification and also needs to point to a product. Or explain that you are referring to existing Vitamin D capsules as opposed to the little-known Vitamin D powder. Unknown - We understand your concern. Unfortunately, we cannot discuss specific products due to FDA regulations. 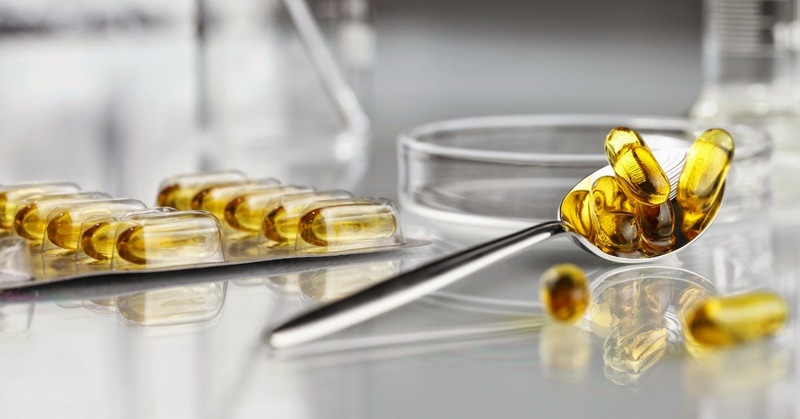 This post is discussing the recent study regarding using a lipid-based softgel formulation containing vitamin D3 rather than using a dry powder-based vitamin D capsule product. Here's the study: http://ow.ly/UoWW3052g2z.